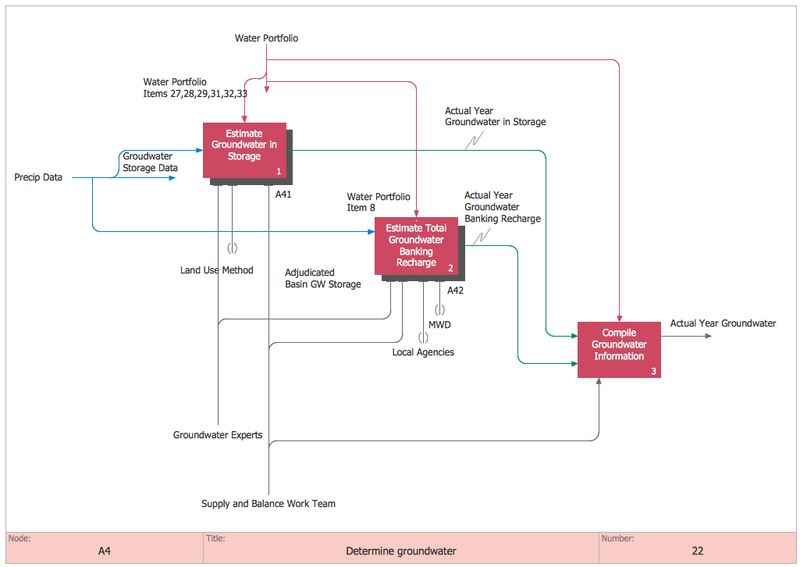 ConceptDraw DIAGRAM diagramming and vector drawing application is a powerful IDEF0 software thanks to the IDEF0 Diagrams solution from the Software Development area of ConceptDraw Solution Park. 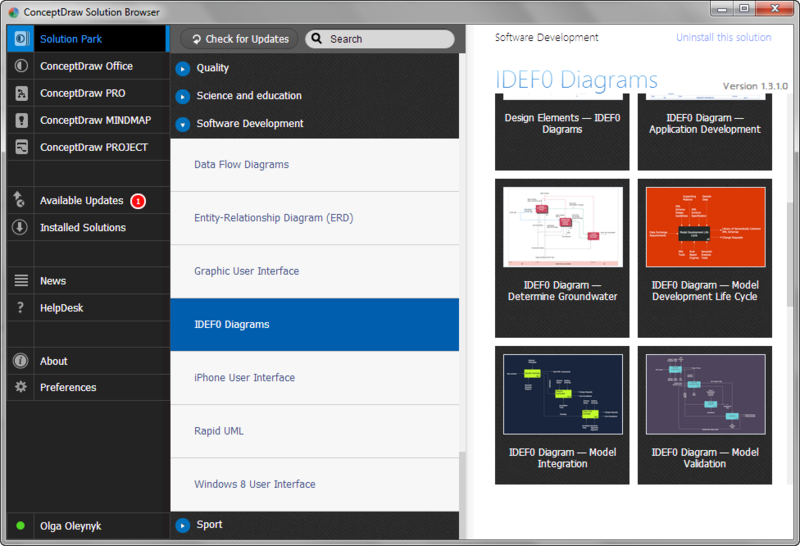 The IDEF0 Diagrams solution offers you large number of useful tools for quick and easy drawing professional looking IDEFO diagrams of any complexity. First of all it is collection of predesigned templates and samples that you can use from ConceptDraw STORE. How many examples you can find in ConceptDraw STORE! All they were created using the vector objects from the IDEF0 Diagrams library included in the IDEF0 Diagrams Solution. How can be useful the predesigned templates and samples? They can help to save your time. If you were find the example that fully meets your needs, you can use it as is. Or you can also change something at your discretion. Website wireframe is a detailed view of design or its skeleton. It shows all the important elements of the final website, the main groups of contents, information structure, describes the user's interaction with interface and its estimated visualisation. ConceptDraw DIAGRAM v12 extended with Website Wireframe solution from the Software Development area is the best wireframing software. Using the wireframe tools, libraries of vector objects, template and examples which offers a Website Wireframe solution, you will easily design the websites wireframes of any complexity. Circular Diagram is a type of diagram widely used in marketing and economics for visualization information in a clear and visual form. ConceptDraw DIAGRAM v12 diagramming and vector drawing software offers the useful tools of the Target and Circular Diagrams solution from the Marketing area of ConceptDraw Solution Park for effective drawing a Circular Diagram of any complexity and design. Website wireframes are convenient and widely used by developers, visual designers, business analysts, and many other people related with projection, development and promotion websites. Usually website wireframes look lacking of brilliance, but they effectively reflect website functionality, content and visually represent its skeletal framework. ConceptDraw DIAGRAM v12 software offers a unique Website Wireframe solution from the Software Development area with all needed tools for fast and easy drawing professional looking website wireframe with attractive interface design. 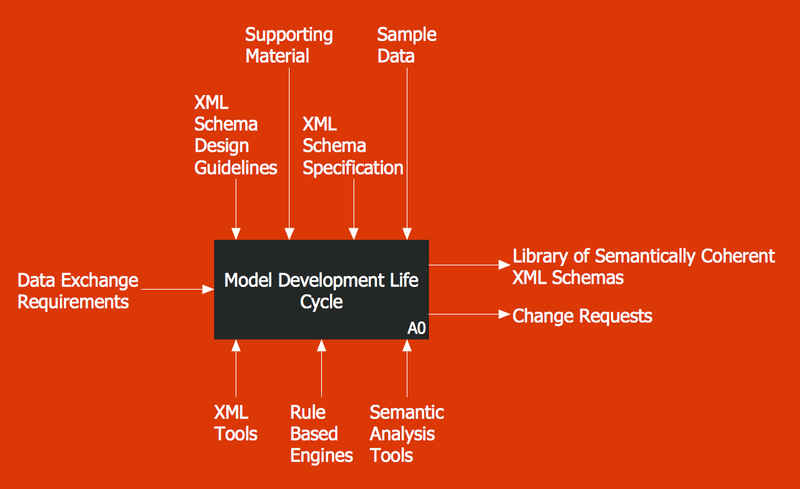 Entity Relationship Diagram (ERD) is the world-known way to show the logical structure of databases in visual manner. 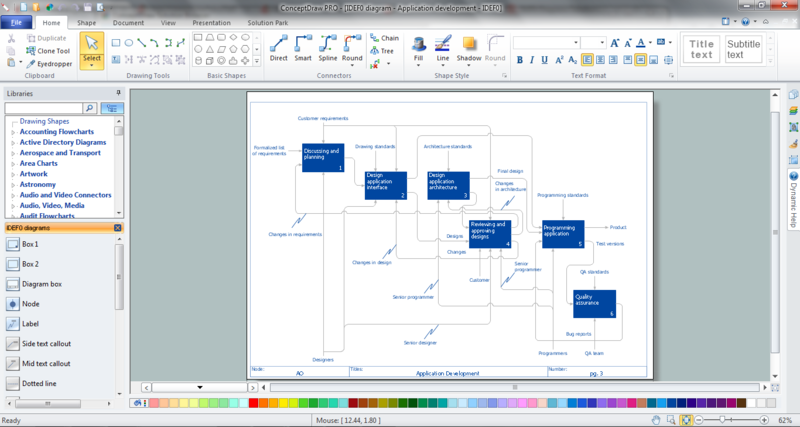 The best software tool for drawing Entity-Relationship Diagram is ConceptDraw DIAGRAM v12 ector graphics software with Entity-Relationship Diagram (ERD) solution from Software Development area which gives the ability to describe a database using the Entity-Relationship model. The vector graphic diagrams produced using this solution can be successfully used in whitepapers, presentations, datasheets, posters, or any technical materials.